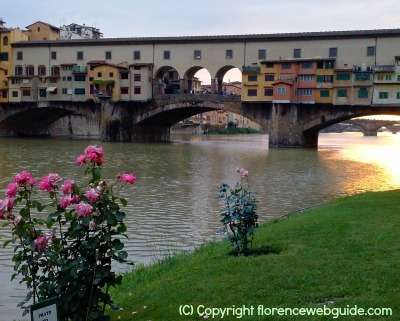 Looking for Florence events by month? From January to December the city always offers something new, whatever you’re interested in. There are cultural events like museum visits and art exhibits, live concerts and opera festivals (did you know that opera was born in Firenze?). 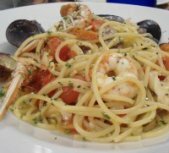 And of course, this is Italy, so some of the most popular things to do are the food and wine events where you get to try local dishes, gourmet cooking and Tuscan wines like our famous Chianti. And, if you really want to get a feel for the real Firenze, the best thing to do is take part in traditional fairs or festivals in town. All year long the heritage of Florence is celebrated and remembered in antique cerimonies evoking past customs and festivities. Don't miss out on a chance to re-live a bit of Firenze in renaissance times at these traditional feste - find out all you need to know with this Florence events by month guide. The Feast of the Epiphany falls on January 6 and is a national holiday in Italy. Don’t miss the ‘Befana e Vigile Urbano’ vintage car show that drives through the center of Florence. Traffic police stand on traditional pedestals directing the antique cars towards Piazza della Repubblica in the heart of town. But that’s not the only parade in town. Watch on as the ‘Cavalcade of the Magi’ make their way through the streets of downtown, recreating the visit of the three wise men to Bethlehem. And there's plenty happening indoors too, so if you want to stay out of the cold find out about museum visits, concerts and opera in historical churches, wine tastings and more. It's Carnival time! Rest assured, there are plenty of things to do in Florence in February to celebrate the days leading up to to Martedì Grasso (Mardi Gras). Martedì Grasso - literally 'fat Tuesday' - is the day before Ash Wednesday and the beginning of Lent, historically a time for fasting. So what better way to prepare than to take part in parties, feasts and carnival festivities all over Florence? February sees also the anniversary of the death of Anna Maria Luisa de’ Medici, the last heir of the dynastic family who left the enormity of the family’s cultural riches to the city of Florence. The city pays homage to Anna Maria Luisa with free museum openings and cultural events. The events calendar is full of things to do in Florence in March. 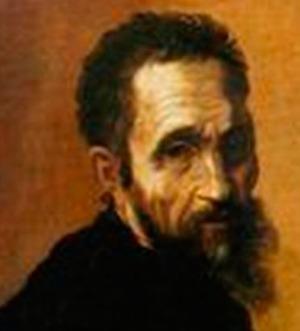 Join in on the traditional festivities celebrating the birthday of Michelangelo on March 6 or the Florentine New Year on March 25. Festivities include a city procession with marchers in Renaissance dress, sbandieratori performances (flag throwers), traditional music played by marching bands and more. Also in town: a St. Paddy’s day festival, an interior design fair, a food fair, and plenty of cultural events of course! The top pick for things to do in Florence in April is lo Scoppio del Carro - 'The Explosion of the Cart' - on Easter Day, one of the city’s most loved traditions. Il Brindellone is the historic carriage which is ignited in front of the Duomo in a fabulous pyrotechnic display that has been wowing the crowd for centuries. Not to be missed! April sees also Liberation Day, a holiday commemorating Italy’s liberation in WWII and the country’s war heros. 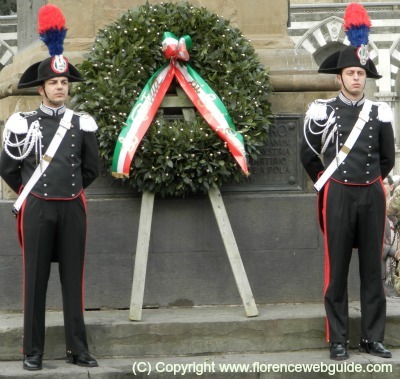 Take part in the remembrance ceremony and free concert in Piazza Signoria. A busy month, there's also an Artisan Crafts Fair, a Medieval Carnival, the Notte Bianca, a flower fair as well as museum initiatives, art exhibits, live music and opera, wine tastings and more. The top pick of the May Day celebrations is a traditional flag throwing competition in Piazza Signoria, il Trofeo Marzocco. Italy’s foremost sbandieratori accompanied by live music compete to be picked as the best flag throwers of the year. Join in and marvel at the choreography and expertise of the flag handlers! May also brings with it a flower ceremony to remember the sacrifice of Savonarola, a May Day open air concert, an artisan fair and an ice cream festival to welcome the approaching summer season. June 2nd is a national holiday, the Festa della Repubblica commemorating the forming of the Italian Republic in 1946. 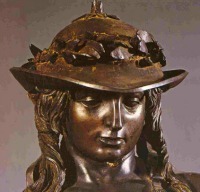 Locally, Florence celebrates Saint John the Baptist, its patron saint, on June 24th. Many businesses and museums will be closed on this day. To celebrate festivities include a much loved fireworks display in the evening. Fireworks go off at about 10 pm and are shot from just under Piazzale Michelangelo along the Arno near lungarno Zecca and last for about 45 minutes. June is also the month for one of the city's oldest traditions, ‘Calcio Storico’ (medieval football) with soccer matches in Piazza Santa Croce. 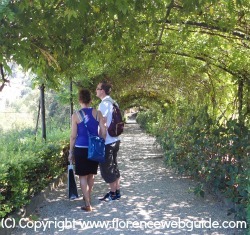 Most of the things to do in Florence in July happen outdoors. Open air opera performances in the city's gardens and amphitheaters, live music all'aperto, day trips to nearby towns and countryside excursions, bike tours, wine tastings, and having dinner under the stars enjoying the cool summer evenings. A popular event in July is the 'aperitivo'. Aperitif hours can be likened to ‘happy hour’ (but with free food instead of a second drink), starting at about 6 pm until dinner time (8:30ish here). Catch some rays without leaving the city at the Arno 'beach'. Along the river white sand and beach umbrellas are set up for a 'beach-in-town' experience too. 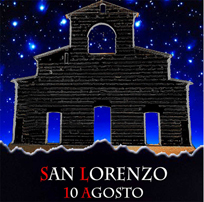 The 10th of the month is the Feast of San Lorenzo. Founded in the fourth century the San Lorenzo basilica was the church of the Medici family. 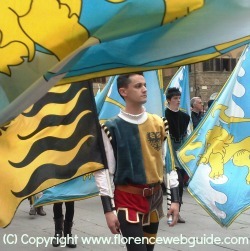 A historic procession of marchers representing the Florentine Republic make up part of the festivities. In the evening treat yourself to complimentary servings of baked lasagna and watermelon slices on offer in San Lorenzo square and a concert by the Florence Philharmonic Rossini orchestra. August 15th is ‘Ferragosto’ the main holiday in Italy in summer. Although many of the city businesses will be closed for the week of Ferragosto, there are still plenty of open air activities going on. 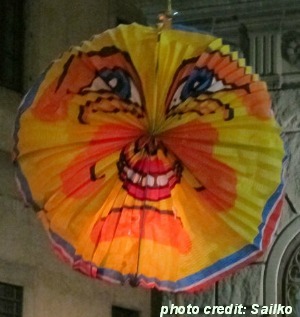 September 7 is the Feast of the Rificolona - the fest of the paper lanterns in Florence. 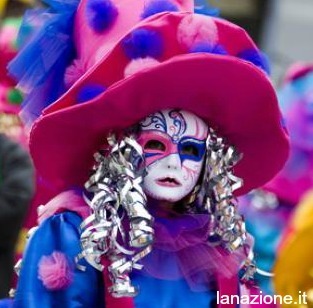 The Rificolona is a tradition of ancient folklore which dates back to the 1600’s. People celebrate by parading through the streets with paper lanterns made of bright colors and original shapes and lit up with a candle. September 8 is the anniversary of when the first stone was laid to build the Florence Cathedral, Santa Maria del Fiore, our beloved Duomo. Started in 1296 and finished over 150 years later, on this day the church terraces are open for all to visit. In this month the city honors Santa Reparata, its co-patron saint. 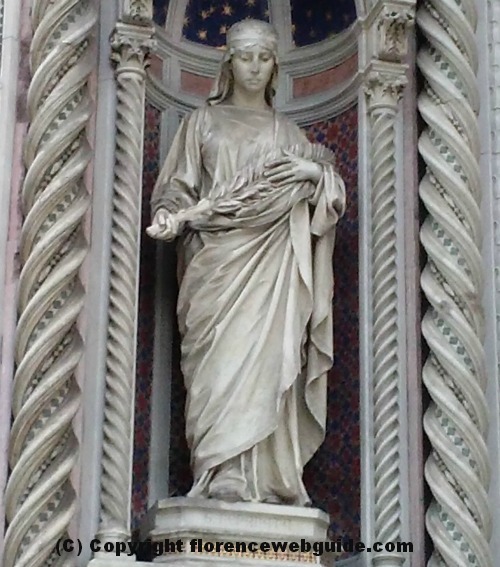 The city's first basilica was named in honor of Reparata and festivities are carried out each October in remembrance of this protectress of Florence. Ottobre is also the month for the Bi-annual International Antique Fair and Exhibit. Attracting the foremost antique connoisseurs and dealers across the globe, the Biennale Internazionale d'Antiquariato di Firenze is held in a historic palazzo along the Arno river. If you're an antique lover or just an appreciator of beautiful things, this event is not to be missed! 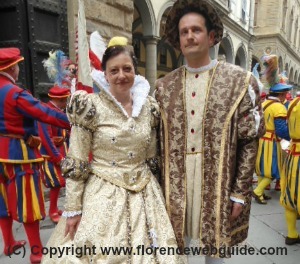 October also sees several fairs and markets coming to town, operas and concerts, and of course, Florentines will be dressing up for Halloween too! 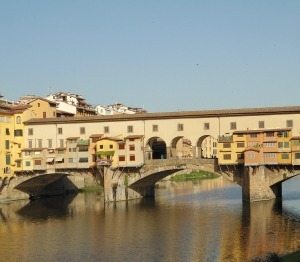 November can be a wonderful time to visit Firenze. Autumn may have started but sometimes summer just does not want to leave us, and the days are still warm and sunny (the nights can get chilly though!). The crowded tourist season is over, so all the city's museums, restaurants, gelaterie, and sights can be 'just for you'! This month welcomes the Feast of Tuscany, a local holiday in which the whole of the Tuscan region is celebrated on the 30th of November. There is also no lack of cultural events going on in town and plenty of local fairs and festivals in and around the downtown area: opera, classical music, rock concerts, wine events, and - of course - tours of the city and its famed sights! December 8th is a national holiday in Italy – the Feast of the Immaculate Conception – join in on the local festivities, including a food fair in Santissima Annunziata. Holidays are here and all you need to do is stroll around town to soak up the atmosphere. An indoor Christmas exhibit – for those who don’t like the cold – is 'Florence Noel' at the Stazione Leopolda (kids can take a picture with Santa, Babbo Natale). Outside, there are plenty of Christmas markets selling hand-made goods and locally made foods, plus shops have longer opening hours for holiday purchases. 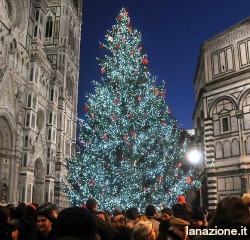 Don’t miss out on Florence’s huge Christmas tree lighting ceremony in Duomo square. The tree is decorated with red gigli - the symbol of the city. also, the Florence synagogue lights the Menorrah, visit churches to see nativity scenes and for concerts. 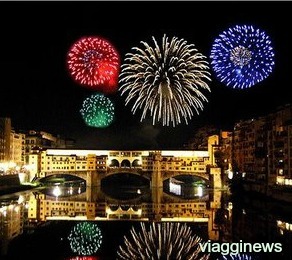 Read about how to celebrate New Year’s Eve in Firenze too! 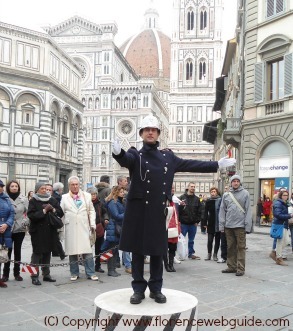 Get the full scoop about what's on the Florence events by month calendar for December.